Ms. Dulani Chamika Withanage, an alumna of the Mechatronics program at the Asian Institute of Technology (AIT), is a key person associated with the development of Sri Lanka’s first satellite known as Raavana 1. Weighing 1.1 kilograms, the cube-sized satellite was launched into space from the mid-Atlantic space station in Virginia on 18 April 2019. Ms. Dulani Chamika paid tribute to both AIT and her faculty advisor Prof. This year is the 60th Anniversary of the founding of the Asian Institute of Technology (AIT). In order to celebrate our past sixty years of illustrious history of contribution to capacity building research and academics, a number of actions and events are taking place all through the year. 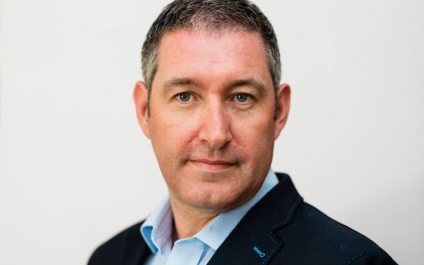 AIT is pleased to announce that Dr. Roger Levermore of the Chinese University of Hong Kong (CUHK) will assume the post of Dean of School of Management on August 1, 2019. He will concurrently bear the title of Associate Professor. Dr. Levermore is presently the Associate Director of CUHK’s MBA Program and Associate Professor of Practice in Management, and prior to that he was the Associate Director of the MBA Program of the Hong Kong University of Science and Technology (HKUST) and Associate Professor of Business Management Education. 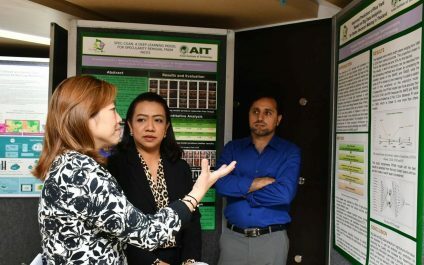 Thirty-two companies joined the silver jubilee edition of the AIT Career Fair organized on 27 March 2019. This included 12 companies participating in the bi-annual event for the first time. Welcoming the exhibitors, President Dr. Eden Y. Woon described AIT as a great destination to hire potential employees. 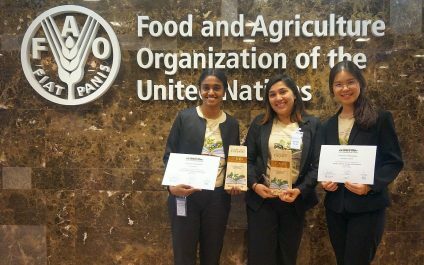 The AIT team of Sarathanjali Manoharan, Pimolporn Jintarith, and Megha Bajaj, who debated on the topic “Providing the youth with an equal opportunity to study forestry will help reduce inequality issues in the world,” emerged as winners at the event, which was co-organized by the FAO, the Center for People and Forests (RECOFTC), and United Nations Environment. The scholarships follow the format of the INDEX International scholarships previously offered by Dr. Chainarong in 2017. The scholarships are available to Thai nationals, and they carry a bond requiring recipients to serve with INDEX International for a period of 48 months after the completion of their studies. 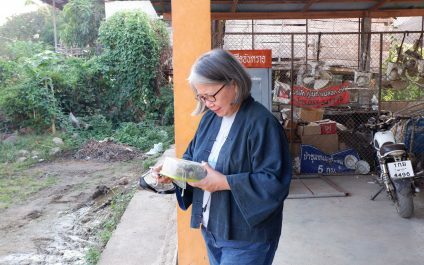 On the outer-wall of the Internet Education and Research Laboratory (intERLab) at the Asian Institute of Technology (AIT) in Pathum Thani, Thailand, an inverted pink-colored lunchbox attracts observers’ attention. Mounted on the wall is a box with a wire coming out. I whispered these lines from a song as soon as I woke up on my very first morning at the Asian Institute of Technology (AIT). Because of my late arrival and tiredness after a long journey, against my curious nature, I fell asleep in the strange room without noticing the time of night or my new environment. "A Higher Vision" is the title of the interview of AIT President Dr. Eden Y Woon in the Bangkok Post published today (26 February 2019). 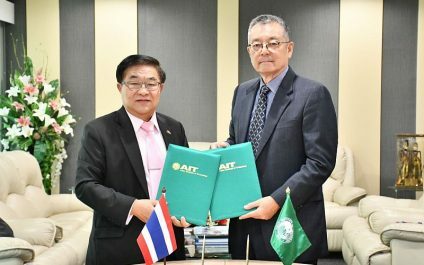 AIT's president wants the university to be an academic player regionally and worldwide. Come winter, Bangkok suffers from a pollution onslaught. As the Air Quality Index plummets, face masks become ubiquitous, and “PM2.5” enters our daily lexicon. It is time to ask: Why is the period from December to February the most toxic? 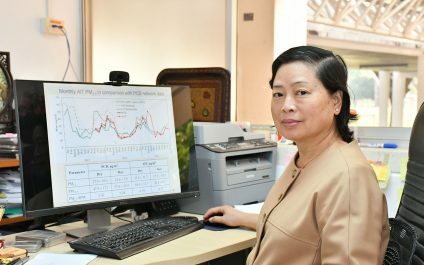 Why is it that Bangkok, which is known for its tropical climate, suddenly emerges on the global pollution radar as a pollution hotspot? The answer may well lie not in the stars but in meteorology and seasonal emission sources.